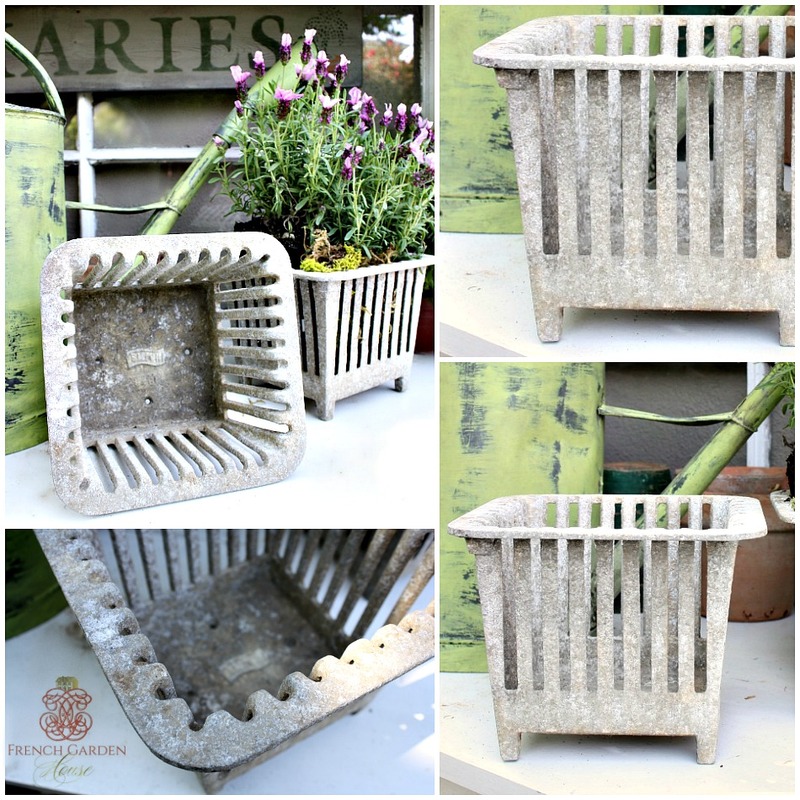 Aged, Cast Metal Footed Planter, with reticulated sides and square shape. Is this a decorative planter? I admit, I'm not 100% sure, what I am sure of is that I love them! Found at a fleamarket, each has it's own patina and wear, a little crusty, a lot shabby. 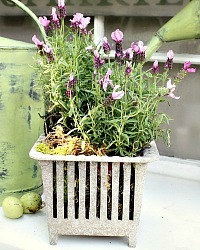 I planted my new pink lavender in one and called it gorgeous! If you want to put a plant in yours, it's looks great to line the inside with some moss first so you don't see the pot. 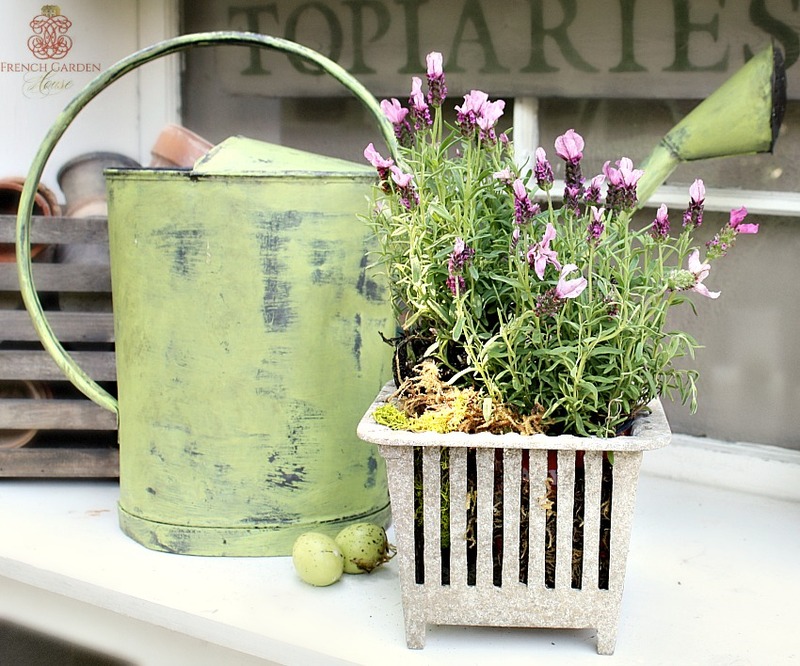 If unusual, quirky antique and vintage finds with plenty of personality are what you love, then this is for you! 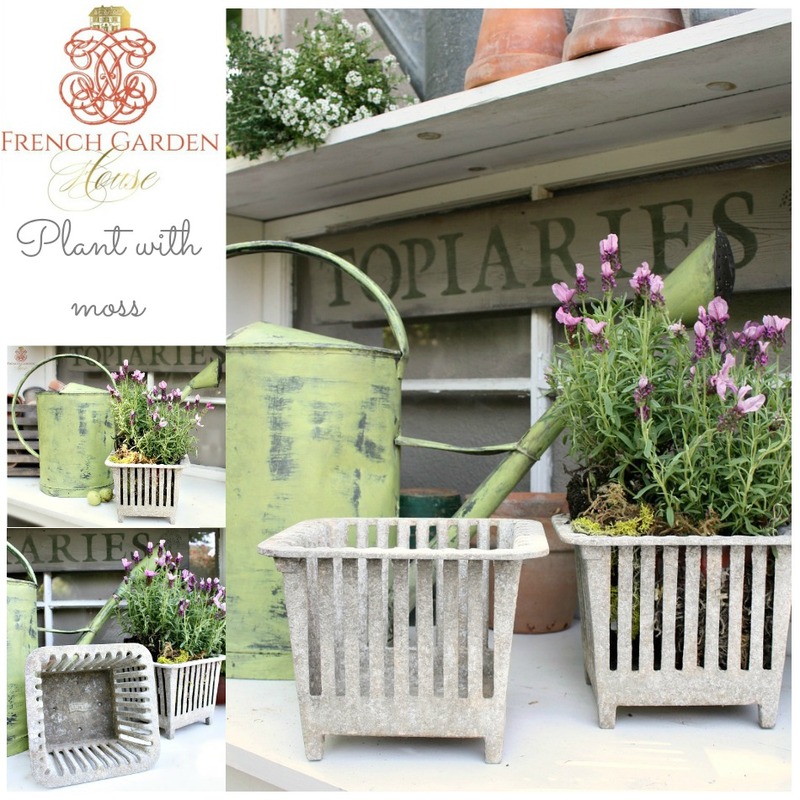 This looks amazing in your French Country garden, your farmhouse cottage, or as a fabulous contrast in an elegant room. Each is slightly different, each has a slightly different patina. Measure 8-3/4" x 8-3/4" x 6-3/4".